This is an example of a 20x40 frame tent which is also available as a pole tent and in solid white. Great for creating large covered areas for both food and guest seating. 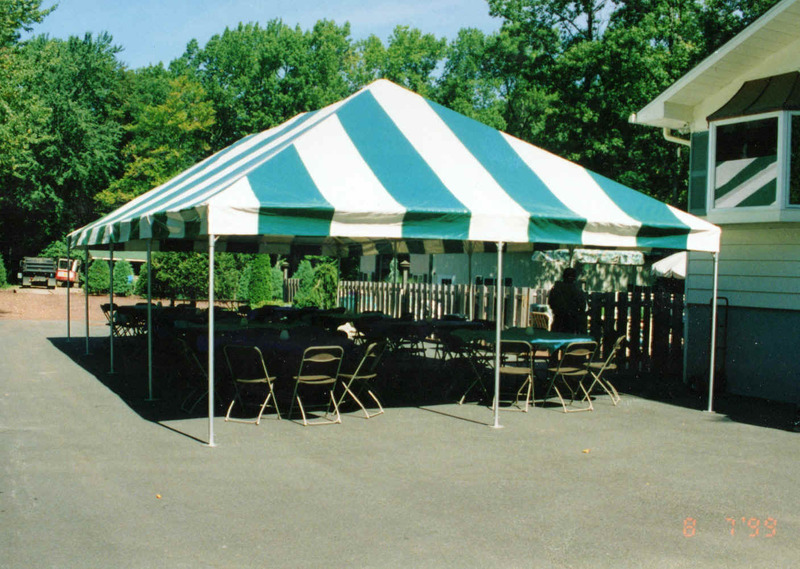 Provides shade on hot days and provides valuable rain insurance.